Upcycling is the act of transforming old or discarded materials into something useful. The practice has grown in popularity in recent years as the green movement has exploded throughout the country and the spirits business is beginning to adopt the trend now as well. 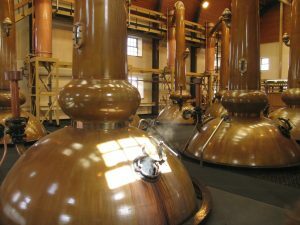 The sustainability craze is important from a marketing and branding perspective to connect with the millennial demographic who are making up a larger and larger segment of their business but also for the bottom line for most craft distillers as these practices increase productivity, decrease waste and improve employee work culture. Innovations from drinks served in tin cans, pallets re-used as herb gardens, booze bottle vases, and most notably the re-use and re-purposing of old distillation barrels are just a few of the many new upcycling trends that have become mainstays in “how-to” articles and DIY demonstration videos throughout the internet.